Valet parking is available at $18 per vehicle starting at 5:00 pm. 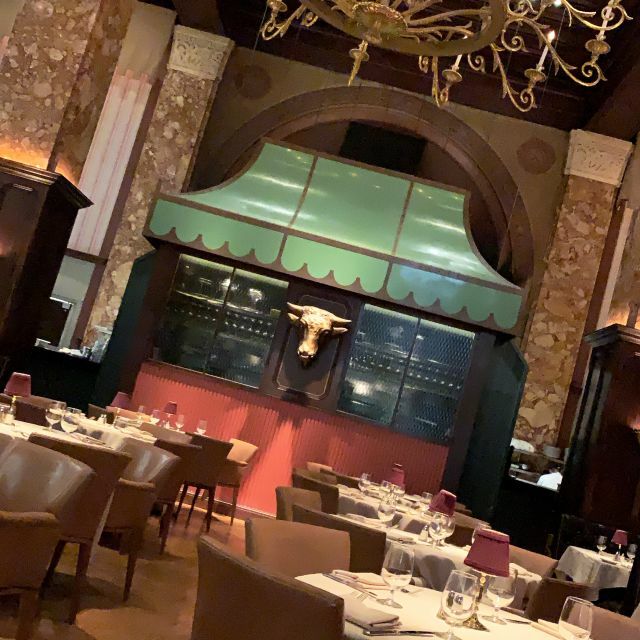 Butcher & Singer, in the amazing historic location at 1500 Walnut, is an intimate and sophisticated dining experience in a relaxed clubhouse setting. We brought back the true classics from perfect Manhattans and Sidecars to hand cut steaks and chops, and freshly caught fish. Timeless and fun for all in the continued age of the American chophouse. Bronzino was very dry. I couldn’t eat it. I told the waiter but he didn’t acknowledge my complaint even though Bronzino remained on my plate . Everything else was delicious. The food was delicious! A little salty, but delicious! Everything was cooked to perfection! The drinks were good as well! Great place! Brian was amazing. He made the excellent food and ambiance even better. Fabulous place! 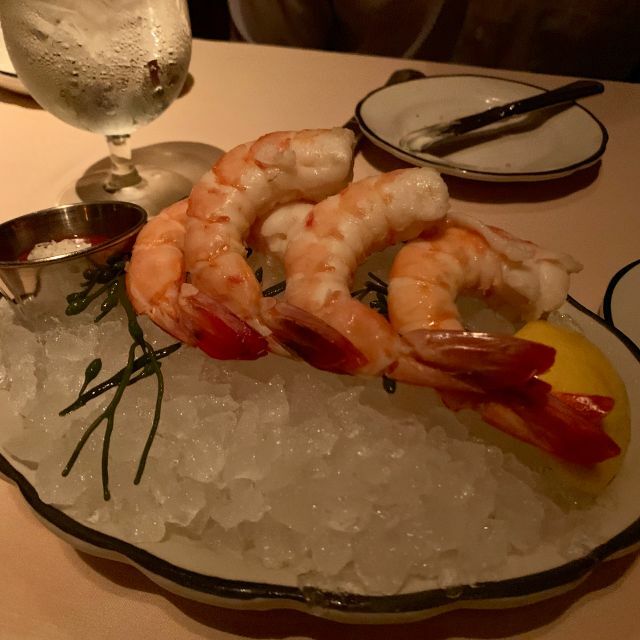 The restaraunt is one of the most beautiful in the city and the service was fantastic. However, I thought the food was just average considering the price. But I’d go back. Great time with friends. Service a bit spotty. Waitress may have been covering too many tables and timing of drinks and asking about refills was off. Always a fantastic meal! The service is impeccable. Their creamer spinach is my fave ever. And don’t miss out on their homemade ice cream. The strawberry fudge swirl was heavenly! Food and drinks were great and so was the service. I think our server’s name was Corey. Looking forward to coming back! Fabulous experience! Bryan is the most professional and knowledgeable waiter we have had anywhere in a very, very long time. Definitely request him! Raw bar, side dishes and service were all great. But the two tomahawk steaks ($125 each) were very, very fatty. A classic Steak House ambience, dark wood, light jazz, quiet enough for an intimate business conversation. Excellent service, the pace of the meal was very good. The quality of the food was excellent. Expensive, but cost is on par with the experience. The cheese cake was exceptional, not too sweet and finished with a blueberry compote. 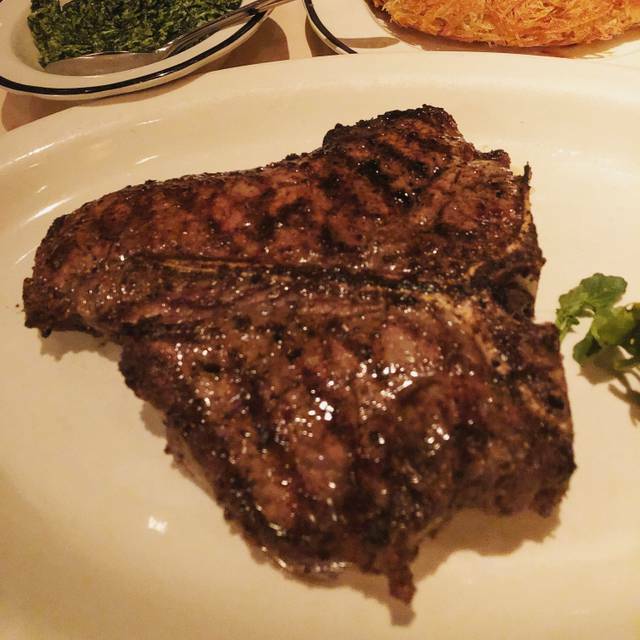 If a classic steak house is your jam in Philly, this is your place! Incredibly delicious food, the steak is cooked perfectly and the potatoes are delightful. A bit costly but worth the experience! Our server was wonderful and made great recommendations too. My brother’s choice for his birthday dinner. Our server was excellent but I have to deduct a point because their automatic door didn’t open all the way, and we needed it for a member of our party. Except for the main course, this was a delightful restaurant. Great place to celebrate my dads birthday! We had great waiters and the food was incredible. We had such a great time ! This is a fabulous restaurant! I was alone so was a bit concerned about my experience, however, they could not have been more accomodating or friendly!!! 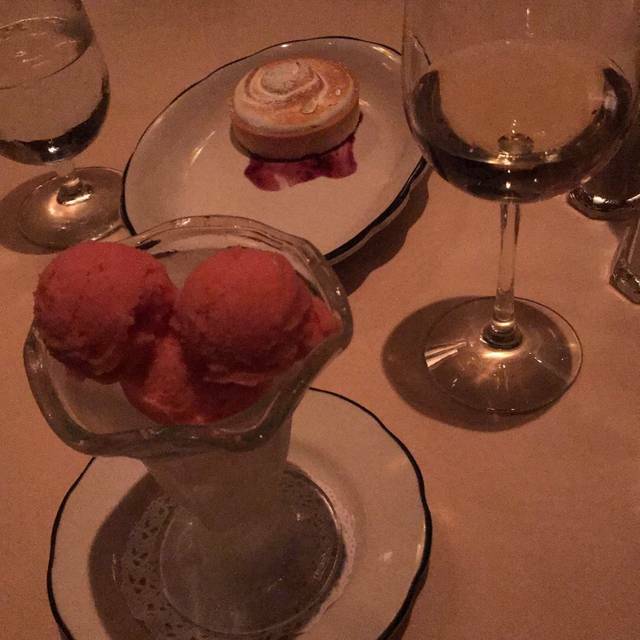 The food was fabulous and the fact they served a true baked alaska for dessert was just icing on the cake!!! I highly recommend this restaurant and will certain return if I am ever in Philadelphia! Awesome place! Food was excellent. Very old school feel and vibe to the place. They undercook their steaks compared to most steakhouses and are up front about this. Food was wonderful, but service was slow. We waited a long time to place our order, and one side dish came out about 10 minutes after the rest of our food. Another great meal at Butcher and Singer. I started with the little neck clams on the half shell which were great. For dinner I had the Delmonico steak done perfectly medium rare, with a nice char on the outside. As a side I had the Creamed Spinach which was very good. For dessert I had Carrot Cake fantastic! I had an Old Fashioned from the bar it was perfect! The waiter Ricky was efficient and friendly. Over all I had a wonderful meal. 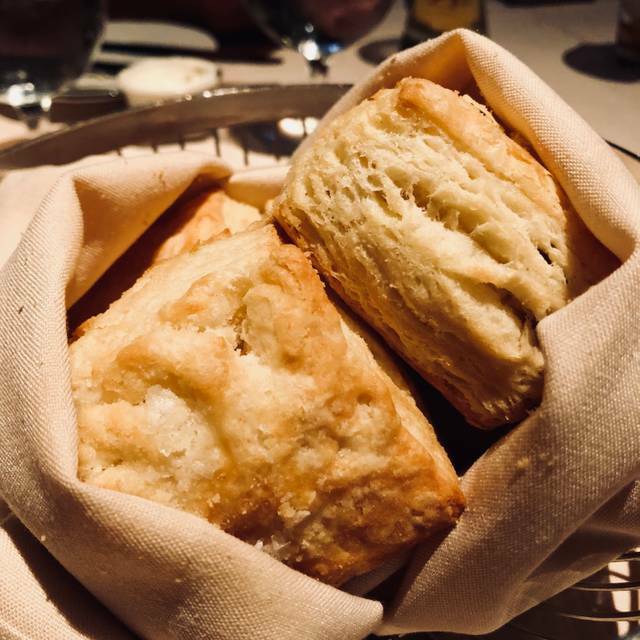 One of our favorite restaurants and always a delightful experience. The fresh, raw west coast oysters were terrific. I had the lobster Newburg which is a rare find on any menu and it was perfect! My wife’s entree, drinks and sides were wonderful too. Our server, Amy, was professional and attentive as well as knowledgeable. My only suggestion for improvement, bring back the lemon icebox pie! Best steak I've ever had. Delmonico. Truffle butter. Our server told us to order a little more well than we usually order. My husband ordered his steak medium plus and it came out rare. He had to send it back. Steaks are never good recooked. Disappointed, considering this is a steakhouse. This is a CANT MISS restaurant. Ask for Brian as your server you will not be disappointed. Is one of the best meals you will ever experience! Excellent in every way. We felt well taken care of and well fed. Very nice setting. Classic paneling and seating in this old building. The service was what you would expect at this level. Extremely attentive and professional. Helped with recommendations with the wine. Food was well prepared. My salmon was just perfect. 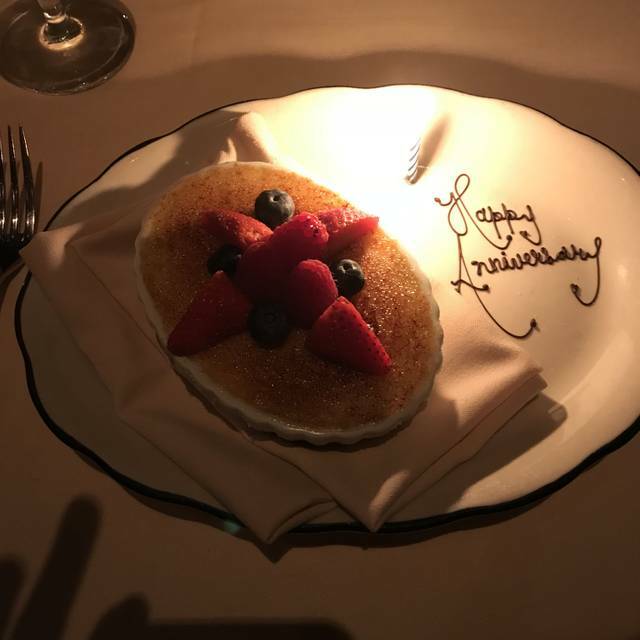 49th wedding anniversary for 2 couples married 4/11/70. 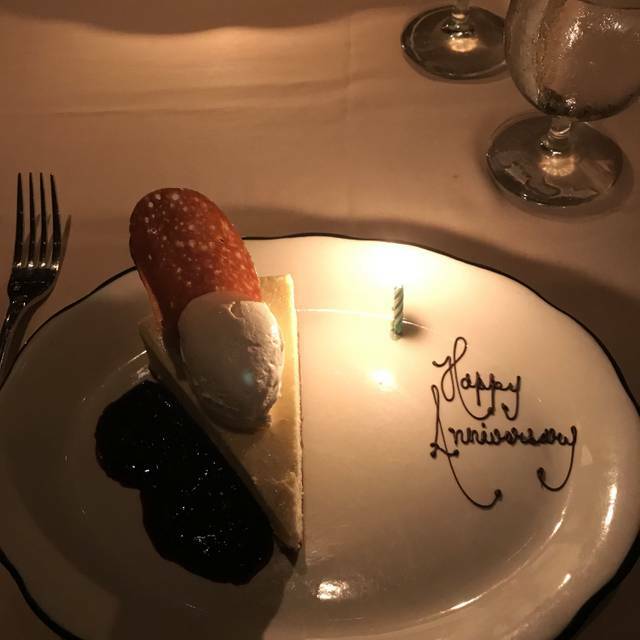 Been going to Butcher and Singer for the last 5 anniversaries. Excellent restaurant, great steaks and service. Brian was our waiter and delivered an exceptional service, full of interesting stories and precise recommendations for our meal. Service, food and atmosphere were all phenomenal. Drew couldn’t have been better! He was super friendly and made us feel very comfortable! Highly recommend! 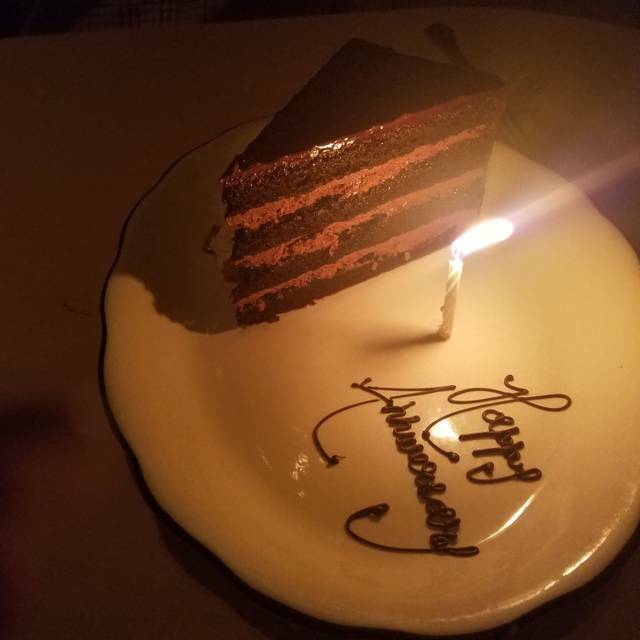 It was the best steakhouse my fiancé and i have went to! Our waiter Brian was aooo knowledgeable about the menu and helpful, had a great personality and very attentive! We would go back for the food and Brian! The Delmonico steak was so juicy and flavorful, the side options were so many and huge. Everything was great! 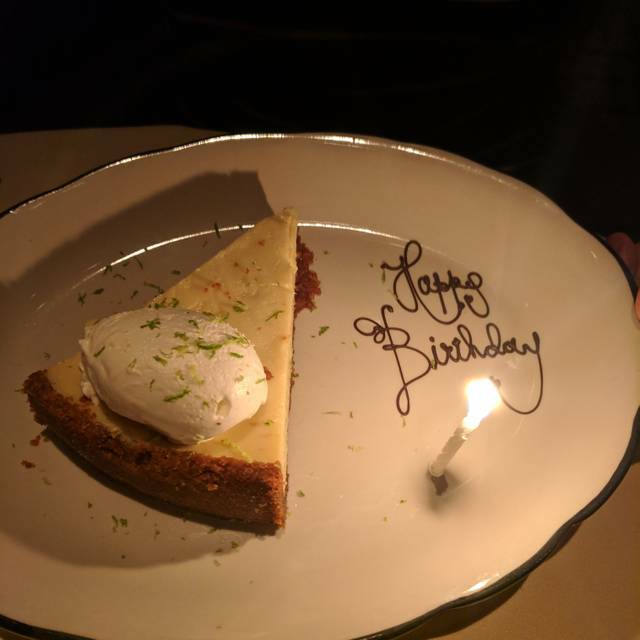 My friend and I were in town for a conference and had a wonderful meal with great service. Impeccable, our waiter Zack was outstanding, can't wait to return for great food, compliments to the chefs!!! We had a reservation for 7:15 pm and we waited for maybe 10 minutes to be seated. To make up for the wait, they gave each of us a free glass of champagne and when we were seated, they gave us a complimentary shrimp cocktail! Ambience and food were amazing... noisy though... probably wouldn’t recommend for a large table... hard to hear conversation. Steaks were full of gristly, the baked potatoes were cold and so was the coffee. Very disappointing.